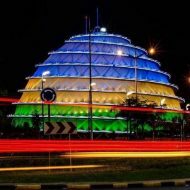 Posted byDidier Champion	 December 4, 2018 January 31, 2019 Leave a comment on The Kings who shaped up the Rwanda of Today. Before the arrival of European colonists in Rwanda, the kingdom of Rwanda was a powerful monarchy of their time. It was very organized, structured, and managed to go for 800 years. During those eight centuries, the monarchy lead by the Mwami, which meaning King in Kinyarwanda. In this article, I will introduce to some remarkable Kings who shaped up the history of our country. Where did Rwanda get her name? Who named it? These are some of the questions I will answer. Rwanda comes from a Kinyarwanda word, which means Kwanda. In our language, “Kwanda” means to collect or to amass small species into one. In a nutshell, this is how the kingdom of Rwanda was formed. At the end of the 11th century, Our founder envisioned the idea of the kingdom. Gihanga Ngomijana. King, the Creator. In 1081, he created the kingdom of Rwanda. It started as a small territory of what is now Gasabo. At the end of the 19th century, by the time the Germans invaded the Kingdom, Rwanda has expanded to twice her size today. Before the scramble of Africa, under the reign of Kigeli IV Rwabugili, the kingdom of Rwanda covered an area, double of her size today. The Kingdom of Rwanda before the scramble of Africa. After 1885, Rwanda lost about half her original size. A big part went to what is now Uganda, and Eastern DRC. Gihanga, the King’s first name, comes from a Kinyarwanda verb, Guhanga. This means to invent or to create something new. It makes sense because he created the kingdom. His last name, Ngomijana, means eternal. Our ancestors had huge respect to their creator King. his Kingdom was supposed to last forever. The new following kings had a big responsibility to safeguard the kingdom of Rwanda. At each inauguration, each king was entrusted with the responsibility to serve, lead by authority, protect, and expand the kingdom. By accomplishing this mission, he kept the promise that our kingdom was eternal. It was not going to disappear or assimilated into other kingdoms. These are the fundamentals of what created and sustained the Kingdom of Rwanda. For 8 centuries, the kingdom protected herself against potential invaders. Compared to other kingdoms, our ancestors managed to stay homogenous. They all spoke Kinyarwanda and had a similar culture. The Bahutus, Batutsis, and Batwas all lived side by side in peace and harmony. For generations, they could track their respective heritage through the 19 clans. Abanyiginya, Abega, Abatsobe, Abashambo, Abagesera, Abazigaba, Abasinga, Abacyaba, Abakono, Abaha, Abakono, Ababanda, Abasyete, Abashingo, Abongera, Abungura, Abashi, and Abashigatwa. Their patriotism and determination to uphold traditions are what made the kingdom of Rwanda prosper. As Rwandans, we are here today because of those who came before us. We owe them a great deal of gratitude and appreciation for their diligence. Throughout the history of Rwanda, the kings protected Rwanda against foreign invaders. They also conquered territories and expanded the kingdom to make the Kingdom, a powerful and strong monarchy. The following are my top three of the most notable kings. Ruganzu II Ndoli, Kigeli IV Rwabugili ( 1853-1895), and Mutara III Rudahigwa ( 1931-1959). I will highlight their contributions to the kingdom of Rwanda. Ruganzu II Ndoli, the Warrior King. The Mwami Ruganzu ( 1510-1543) was inaugurated at the beginning of the 16th century. Under his reign, he conquered many territories and expanded his Kingdom. He revolutionalized his troops and terrified his neighbors. His favorite troops were given the name of Ibisumizi, those who are not scared to attack. Under his reign, he never lost any battle. At one point, his Abiru ( advisors ) told him to slow down on the number of battles. They were scared that the troops were getting tired that they could not keep up. Then, he famously responded “ U Rwanda ruratera, ntiruterwa“. This translates to Rwanda is strong to attack, but nobody will attack. This statement meant to show off the strength and the trust he had in his troops. In his words, we could invade others, but they won’t invade us. He kept his promise and never lost any battle during his reign. Kigeli IV Rwabugiri, King the Expansionist. The Mwami Rwabugili ( 1853-1895) is also one of the most notable kings in the history of Rwanda. When Germans first came to Rwanda, Mwami Rwabugili was in charge. He is known as the expansionist. He also conquered many territories and welcomed the first Europeans to settle in Rwanda. His expansion plan was halted by the evils of colonialism. Kigeli IV Rwabugiri ( 1853-1895), first King to come in contact with Europeans. The most powerful King in the history of Rwanda. He established an army equipped with guns he obtained from Germans and prohibited most foreigners especially Arabs from entering his kingdom. He defended the current borders of the Rwanda kingdom against invading neighboring kingdoms, slave traders and Europeans. Rwabugiri was a warrior King and is regarded as one of Rwanda’s most powerful kings. The Mwami Rudahigwa was technically the last king of Rwanda. He was the king of Rwanda under Belgian colonial rule in Rwanda. But lots of things that happened under his reign shaped the Rwanda we have today. Under his reign, Rwanda became a Christian nation. He converted to Christianity, which made Rwandans convert to Christianity. Before then, Belgian colonists had struggled to convert our ancestors. Mutara III Rudahigwa, the last king of the Rwandan monarchy. His royal palace home was in Nyanza. Till today, you can visit what used to be his home. In 1935, when Belgians changed the existing social-economic classes into ethnic groups, he was the king in charge. The colonists socially engineered the classes ( Hutus, Tutsis, and Twas) to fit their divide and conquer colonial strategy. Some of his chiefs known as Abatware resisted initially to register their people under these classes, but he warned them of the danger the Rugiganas were to imposed had they not follow the rule. King Rudahigwa is the most remembered king in the history of Rwanda. The new ethnic groups are what later translated into a genocide in 1994. His reign was just full of trials and tribulations. Belgian colonial rule was at its peak, but he managed the kingdom under difficult and complicated times. Registration of ethnic groups in their books, the worst famine in the history of Rwanda, Ruzagayura in World War II, the ethnic tensions in 1959, and the troubles that followed up. On a positive note though, He negotiated Rwanda’s the independence with the Belgians and refused to stay under Belgian colonial rule. In the end, he was killed by Belgians in Bujumbura. He died from poisonous food. Thanks for reading. These are some of my favorites Kings throughout the history of Rwanda. I have been reading about the history of Rwanda so I will be sharing some stories. Feel free to follow my blog if you would like to keep with Rwandan stories. Until then, keep calm and love the history of my motherland. This is my heritage. The Kings of Rwanda ( Wiki page). Kwibuka25: The President Address to the Nation.